I've always been a fan of technology, and also surrounded by it. Some of that is out of pure necessity - my wheelchair is a huge, very technological part of my everyday life! But some of it is just my personality. In college, I used some of my earnings from my first-ever summer internship to buy a Palm Pilot on E-Bay to replace my paper planner. I may not be using the Palm Pilot anymore (and I actually use both a digital AND paper calendar), but the love of technology has stuck with me. My favorite kinds of technology are the things that are both fun AND useful to me - things that are cool and new, but also actually serve a real purpose for my life. The most recent addition, for me, is the Philips Hue Lightbulbs. I like rooms to be BRIGHT. My Dad always gets mad at me for turning lights on and leaving them on all over the house, but I just always like things to be well-lit! When we renovated our house back in high school to make it more accessible for me and my sister, we made sure the light switches on the main floor were low enough that my sister and I could turn them on and off. But the switch in my bedroom didn't get lowered, and I also have lamps that I can't reach the knob on. To get around this, you can use handheld switches that plug into the outlet and let you control it remotely. But you need to have a different switch for each device, and I have a ceiling lamp plus two floor lamps. My desk got crowded very quickly! That's why I was so excited to hear about the Philips lights! They weren't designed for people with disabilities - they were invented to go along with all the smart house technology that's coming out now - but they make things so much easier for me! The lightbulbs themselves are WiFi connected, so now I can control all three of the lights in my room with my phone (or, soon, with my Amazon Echo device). They have cool features for people WITHOUT disabilities, too. 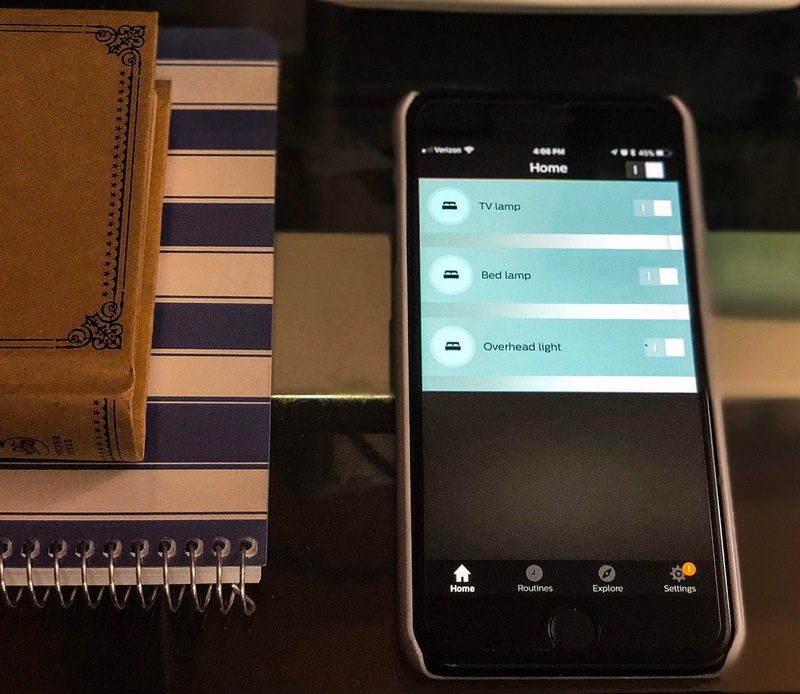 You can set schedules, where they turn off and on at predetermined times, and they even have a feature where they gradually turn on, so they'll replace the wake-up light alarm clock I talked about here. There are a lot of other things like this, too - the Nest thermostat, which you can control from your phone (or with Siri or Alexa), and things like the August smart lock, which even lets you assign codes that people can enter on the keypad to enter. That feature would be perfect for someone like me who has aides that come to help, and don't necessarily have a key. All of these innovations have uses for people with and without disabilities, which I love! I just wish they were a little less expensive.